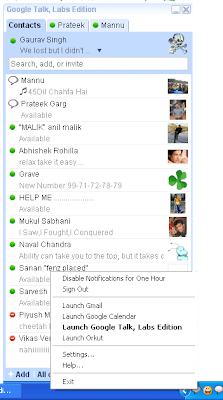 Google has introduced Google Talk Lab Edition which is kind of an experimental version of google talk and many features are being tested. It has almost all the features of the google talk gadget and a couple of new features have been added to it. Google talk Lab Edition is Available for download for windows users. UPDATE : Google Talk Lab Edition has an Added Feature of Invisible Status.